Garalynne Stiles is a Registered Dietitian who first entered the field of nutrition because she liked to cook and wanted to understand how people thought about food. That passion brought her from her home in Seattle all the way to New Zealand. Garalynne has been working in mental health and eating disorders in New Zealand since 2009, including seven years at Tupu Ora Regional Eating Disorder Service. 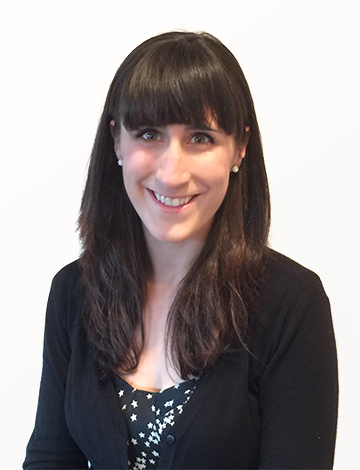 She is experienced in tailoring nutrition care to evidence based treatments, including Family-based Treatment (FBT) and Cognitive Behaviour Therapy (CBT) in tandem with your primary therapist. Garalynne provides dietetic nutrition care for children and their families, older adolescents and adults with both mild forms of disordered eating and severe eating disorders. Knowing that each individual is unique, Garalynne enjoys helping people figure out what normal eating means for them. Garalynne is also provides primary treatment for patients with bulimia nervosa and binge eating disorder using Cognitive Behavioural Therapy - Enhanced (CBT-E). As a Registered Dietitian, Garalynne can support individuals in weight management and other food-related issues. She uses mindful and intuitive eating approaches around managing weight, which focus on separating food from emotions and discovering a balanced relationship with food. She also has experience in nutrition for cardiovascular disease prevention, diabetes, irritable bowel syndrome and plant-based lifestyles. Garalynne is available to provide professional clinical supervision for dietitians and nutrition professionals in-person or via Skype. She has completed professional supervision training through the New Zealand Coaching and Mentoring Centre. If you would like to make an appointment or make a confidential enquiry please email here.